An author's brand identity reveals her love for pop culture, vintage furniture and all bookish things. A writer’s imagination comes to life. Writer Rainbow Rowell is a really cool nerd with a big personality. She had three novels being released in just three years—and more stories in her head, just waiting to be written. Now she has the quirky brand and cool website to promote them all. 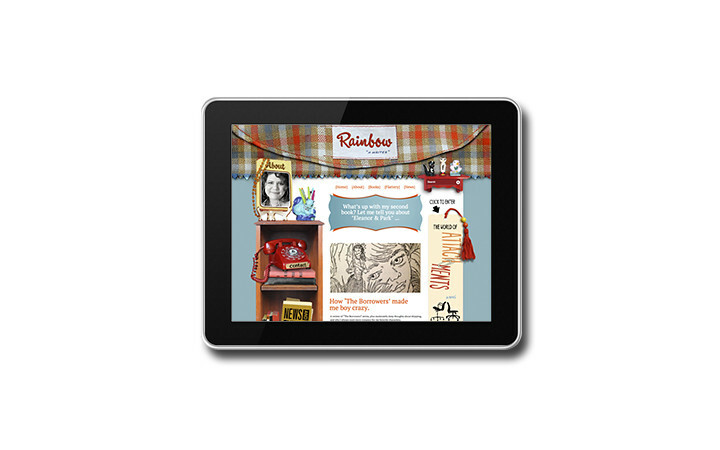 We were asked to create a new brand that introduced Rainbow as an author to both the general public and the literary world. It was vital to show off her charming personality and intriguing point of view, that which makes her stand out among other new writers. Most of all, she needed a place a place where she could communicate with her fans and promote her books, special events and speaking engagements. 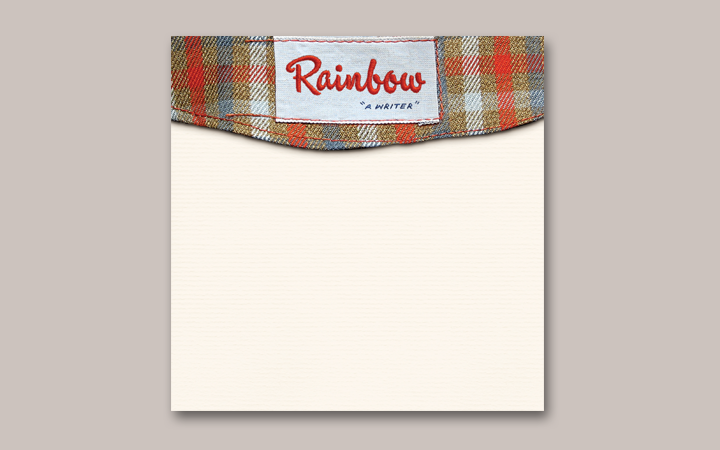 Rainbow’s brand identity became an expression of her imagination, the world where she lives inside her head. Many hours of research into Rainbow’s personal interests provided the visual cues that have become her identity. The brand reveals Rainbow’s love of pop culture, vintage furniture and all things books. 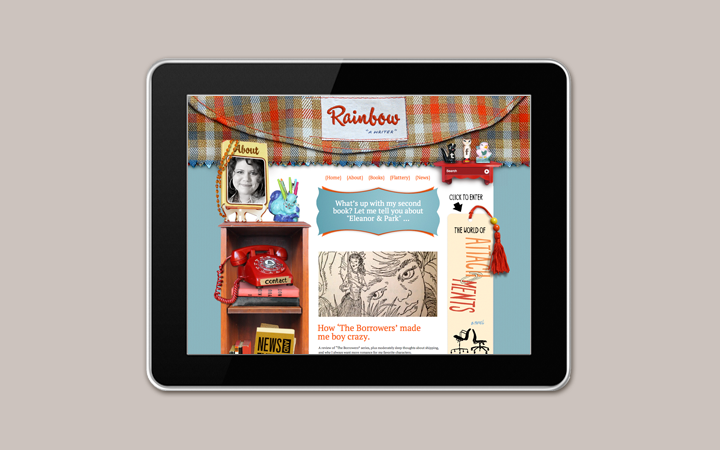 The website immediately provides visitors with a clear picture of who Rainbow is and what she is all about. Once you are there you don’t want to leave—you might even buy a book or two. 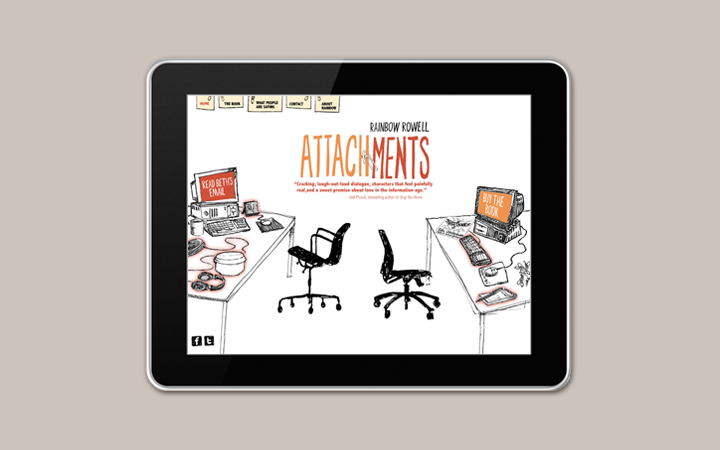 In addition to the overall identity and website, we also created a sub-brand with a micro site and promotional materials for Rainbow’s first book, Attachments. Inspired by the book cover design, we used brilliant illustrations by Jonathan Gray and Kia Willken to create the look and feel for sub-brand. 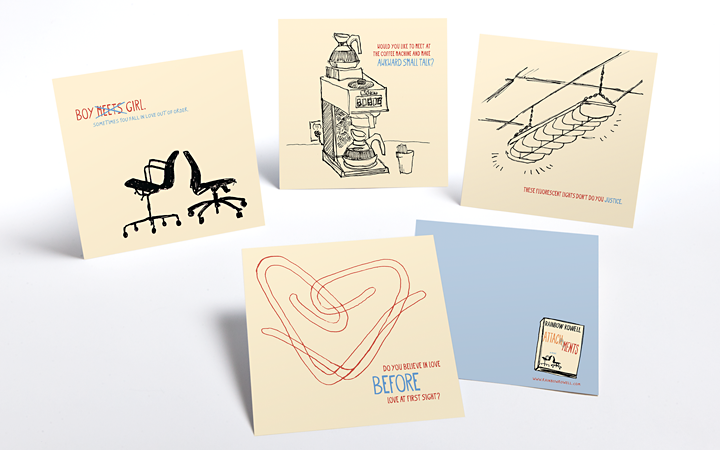 A special set of note cards were created to support the book, with each card based on a scene or idea from the book. Rainbow shared these notecard sets with book bloggers, bookstores and as a way to thank her fans. 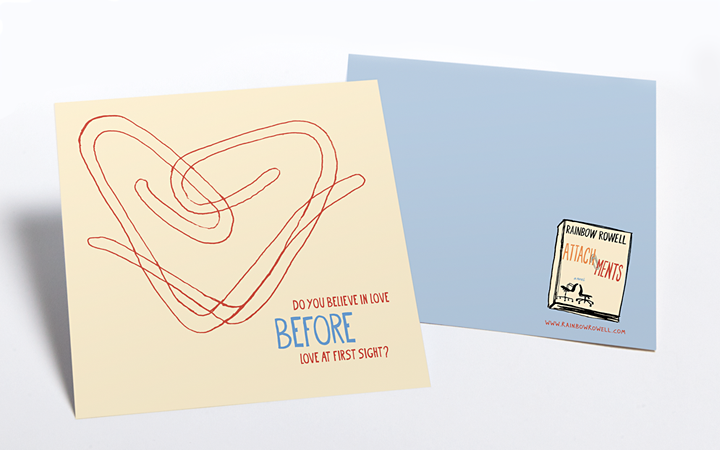 People who love books love paper, and the notecards received an overwhelmingly enthusiastic response. The Attachments micro-site is a “world” you can click around and explore to discover new things about the book and its characters. The site works in two ways: first, to stoke curiosity about the book for people who had heard about it, especially librarians and reviewers; and second, to allow people who already love the book to keep engaging with Rainbow and her characters. The annotated playlists and DVD-like extras were especially popular with readers. At signings, book clubs and other events, people often wanted to talk about the site.